Visitors to your website can engage with you in different ways: they may want to provide their contact information, request the scheduling of a demo/meeting or simply ask you pre-sales questions. How do you capture this data? How do you ensure that all visitor interactions are routed to the relevant person in your organisation? TeamWave’s Web Forms can solve this problem. 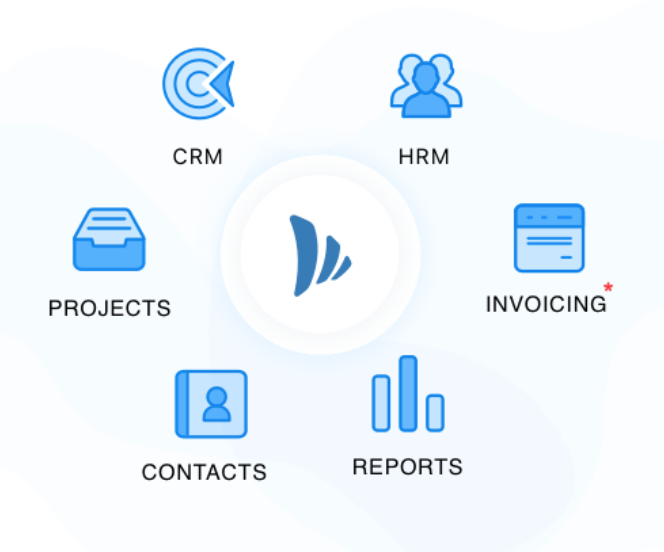 We help you capture visitor information and then send it to your pipeline in TeamWave CRM. Additionally, we also give you complete freedom to customize every field, font and colour on your Form. 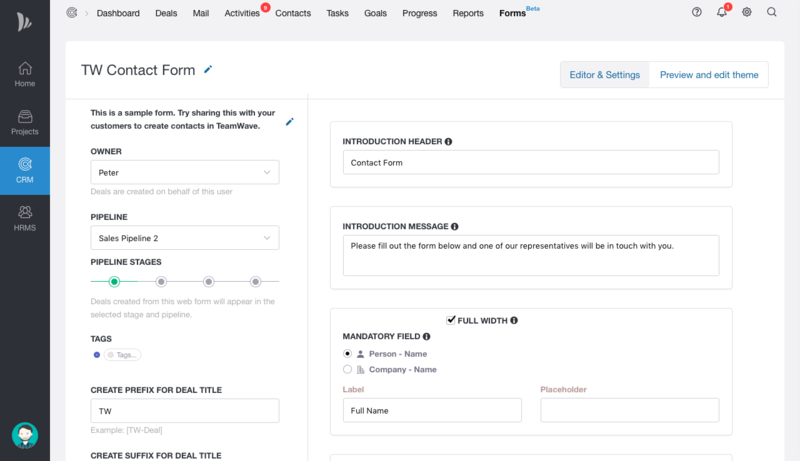 TeamWave Forms are simple. 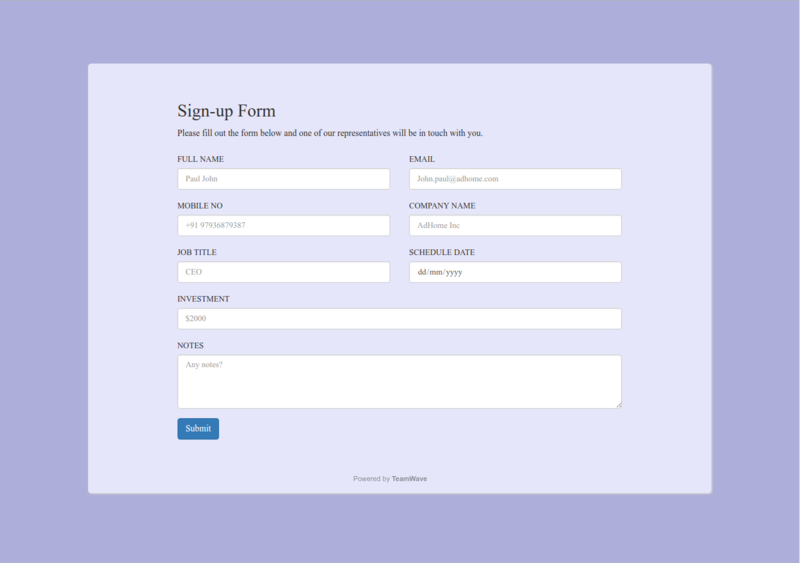 You just need to create a form and then place that form on your website. Each time a visitor fills and submits a form, all data is sent to your CRM. 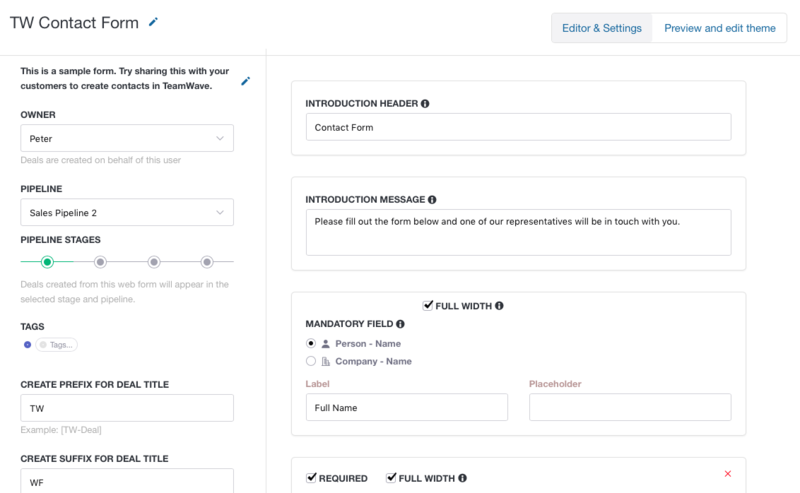 TeamWave Forms are designed to give a seamless experience to all users. You can customise fields, colours, fonts and more in a form. How to use TeamWave Forms? The best way is to place your form on an easy-to-find page on your website (Ex: Contact page). This allows potential customers to drop their contact details on that form which will automatically flow to your CRM Pipeline in TeamWave. Another way to use Forms is to collect data from your Email Newsletters or Marketing Campaigns. If you are sending out a Campaign, you can link your Forms URL and send it out. The possibilities are limitless and everything just works. Automatically. Need alternatives? We’ve got your back. Forms are designed to simplify data collection and give users more options to collect data. If you require more complex forms and data collection, we also offer full integration with popular third-party forms like WuFoo, Typeform, Google Forms via Zapier. Learn more.